Did you know marine microorganisms may provide the basis for new products for pharmaceutical and food industries? Did you know that algae may reduce nutrient concentrations in the water while providing a source for bioenergy? Did you know that reed can be used as a construction material and to produce bioenergy? This website is not updated any more after the closure of the SUBMARINER project (2010–2013). Our efforts to promote sustainable and innovative uses of marine resources are continuing under the umbrella of the SUBMARINER Network. Visit submariner-network.eu to learn more! The Baltic Sea Region faces enormous challenges including growing transport, new installations, fishery declines, severe marine pollution, excessive nutrient input, and the effects of climate change. But novel technologies and growing knowledge also provide opportunities for new uses of marine ecosystems, which can be both commercially appealing and environmentally friendly. Macroalgae cultivation, blue biotechnology, innovative fish and mussel mariculture solutions, and wave energy are among such new possible uses. 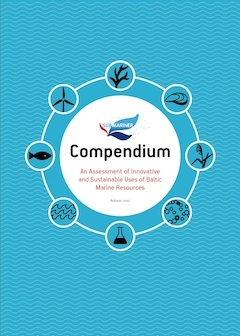 The SUBMARINER Compendium provides, for the first time, a comprehensive assessment of the potential for innovative and sustainable uses of Baltic marine resources. 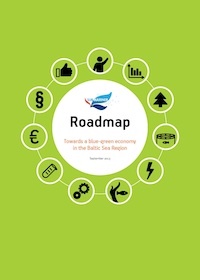 The SUBMARINER Roadmap promotes new initiatives in the field of sustainable and innovative uses of Baltic marine resource and is the reference document for the SUBMARINER Network.